It is Easter. We celebrate the greatest mystery of our faith—the words of love at the Last Supper Holy Thursday led to the act of love at Calvary on Good Friday which led us to the triumph of love at the empty tomb today Easter Sunday. As your pastor, I have been trying my best to listen to you by visiting you in the parishes, schools and barangays. I have met many of you through our church seminars, recollections and social gatherings. As I listen to you, I also listen to God and pray to God to help me guide you. My brothers and sisters of the Risen Christ: Are you ready to be ICTHUS again like the first Christians? Let us be ICTHUS! We want to be like Jesus! When the Lord comes again, may he see us and find himself glowing through us! Happy Easter again. I bless you with Easter life and Easter joy! 30 March 2010 – San Fabian. The Stations of the Cross help the faithful to make in spirit, as it were, a pilgrimage to the chief scenes of Christ's sufferings and death, and this has become one of the most popular of Catholic devotions. It is carried out by passing from Station to Station, with certain prayers at each and devout meditation on the various incidents in turn. The hills and mountain of Brgys. 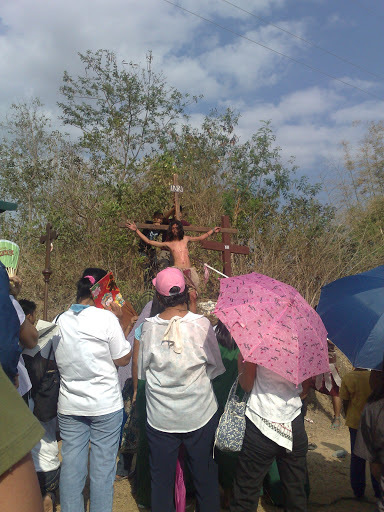 Lipit and Inmalog Sur have been the scene of the Stations of the Cross since 2004. 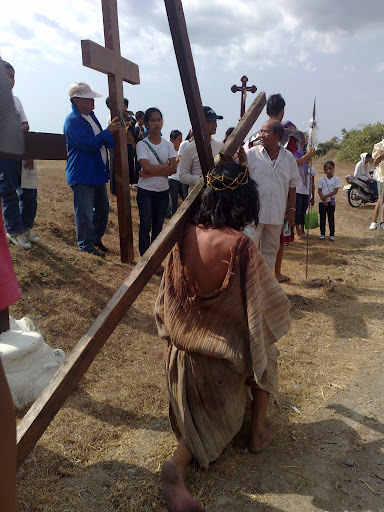 This years meditation on the Way of the Cross in Lipit-Inmalog is on its 7th year. 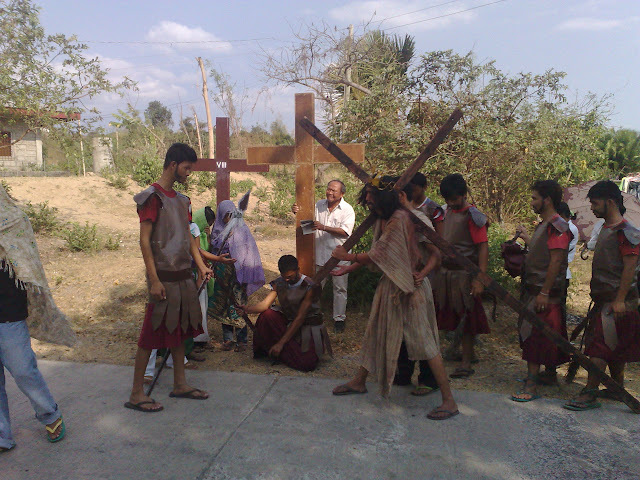 It has attracted more and more parishioners to participate in this unique holding of the Stations of the Cross. The members of the Parish Youth Apostolate Committee have been re-enacting the scenes of the 14 stations of the cross since 2007. 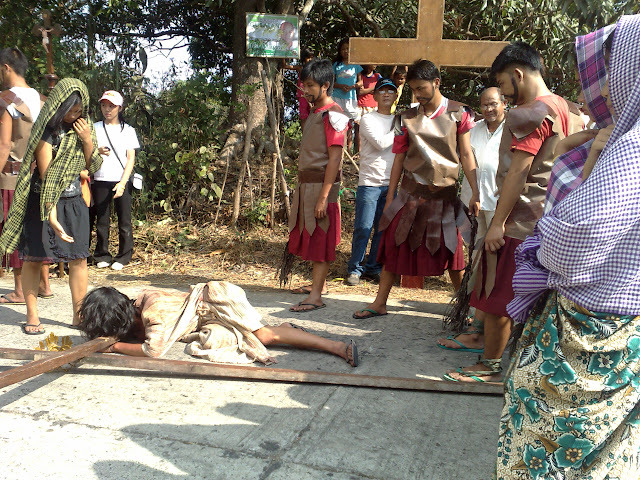 The members of the Parish Youth Apostolate Committee re-enact the scenes of the fourteen stations of the cross. 28 March 2010 – San Fabian, Pangasinan. Below are some photos during the blessing of the palms in one of the masses celebrated in the Parish of St. Fabian, Pope and Martyr. The mass was celebrated by Rev. Fr. Felipe Matias. Imbangat na Katawan a Dios ed siak so salitaen ko, pian napabiskeg ko so linawa na toon mapaga. Kapag kabwasan iitdan to ak na pilalek ya ondengel ed ibangat to. Say Katawan initdan to ak na pakatalus, et ag ak linmaban ed sikato odino inarawian ko. Intaryak so beneg ko ed saray nansiplat ed siak. Ag ko ra binaat nen pinabaingan da ak, nen binagut da ray balbas ko tan nilulukdaan day lupak. Balet ag ak nasakitan na saray panamabaing da lapud tutulongan ak na Katawan a Dios. Pinakapal koy lupak pian nitepel ko ra. Amtak ya ag ak napelag ed kababaingan. E. Dios ko, Dios ko, Akin et inkaindan mo ak? Nepeg yon aligey ogali nen Cristo Jesus: Anggaman a walad sikatoy inka-Dios, ag to impasoot a mansiansian kaparay Dios. Nilakseb to ingen so inka-Dios to, tan inala toy kipapasen na aripen nen nagmaliw a too. Nampaabeba tan maonur ya anggad patey – on, anggad ipapatey ed krus. Kanyan say Dios intanduro to ed sankatageyan, tan initdan toy ngaran a matalonggaring nen say dinan man a ngaran. Diad ontan, amin da ray apalsan walad tawen, diad mundo tan dalem na dalin ontalimukor iran mangigalang ed ngaran nen Jesus. Ibawag met ed satan na amin a katoowan a si Jesu-Cristo so Katawan. Lapud saya, say Dios Ama so nagalang. Si Cristo nagmaliw a maonur para sikatayo ya anggad patey ed krus. Kanyan say Dios intanduro to ed sankatageyan, tan initdan toy ngaran a matalonggaring nen say dinanman a ngaran. Inmalagey iray mamatakken na baley, saray manonan papari, tan saray iskriba, insan da inyakar si Jesus ed kinen Pilato. Ginapoan dan inakusa, “Narel mi yan too,” inkuanda, “a sosogsogan to ray totoo mi a manggaway aliwa. Isesebel to met so pambayar na buis ed Impirador. Ibabaga to nid saray totoo a sikatoy Cristo, say sakey ya ari. “Sika lan dili so mangibabaga,” ebat nen Jesus. Nen nadngel ya nen Pilato, tinepet to, “Akin, taga Galilea yan too?” Nen akabatan ton si Jesus et nanlapud pasen a nasasakopan nen Herodes, imbaki toy Jesus ed sikato ta wadman ed Jerusalem ed saraman ya agew. Makaliliket si Herodes nen anengneng toy Jesus, ta abayag lan mampipirawat a napilupaan to yan too, lapud amayamay lay abalitaan ton nipaakar ed sikato. Maniilalon nanengneng ton manggaway milagro si Jesus. Kanyan abayag a tinepetan to, balet ag balut inmebat si Jesus. Inmasingger iray manonan papari tan saray iskriba tan ontan lay impangakusa rad kinen Jesus. Si Herodes tan saray sondalo to niludlurey tan pinapabaingan day Jesus. Sinolungan day marakep a kawes, insan da impawil ed kinen Pilato. Diad saman ya agew, akapankaaroy Herodes tan si Pilato, saray gendat a mambobosulan. Balet lalon inkasikasil dan ineyag a nepeg ya ipasak ed krus si Jesus. Diad kaonuran, analoy impaneeyag da. Kanyan insintinsia nen Pilato ed kinen Jesus imay kekerewen da. Imbolus to may toon papaibolus da, samay apriso lapud impanggolo tan impamatey to. Insan impalima toy Jesus ed sikara, pian nagawaan dad sikato so labay da. Nen iyaakar dan ipasak ed krus si Jesus, nabet day sakey a lakin nanlapud barrio. Taga Cirene yan too, tan manngaray Simon. Sinabat da, tan impasakbat day krus ed sikato, insan da pinatombuk ed kinen Jesus. 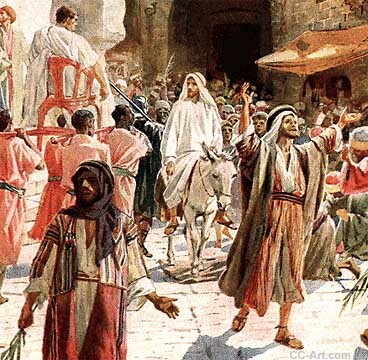 Wala met iray duaran kriminal ya inyakar dan pateyen a kabansag nen Jesus. Nen sinmabi rad pasen a tatawagey “Lapis-lapis na Olo,” diman da impasak ed krus si Jesus. Impasak da met ed sansakey a krus ira may duaran kriminal, say sakey diad nikawanan tan say sakey diad nikawigi nen Jesus. Sakey ya alas dosid kaagewan ya anggad alas tris ed ngarem nen binmilonget so intiron dalin, naandiay liwawa so agew, tan apaldua so kurtina na Timplo. Inmeyag na maksil si Jesus tan inkuanto, ‘Ama, iyawat kod saray limam so ispirituk!” Kapangibaga to ya, inatey. Sayan agawa naimatunan na amin da ra may dinmagop a nambantay, tan sinmempet iran tapuk-tapuken day kapagewan da. Manalalagey ed bandad arawi ray amin a kakaaro nen Jesus, pati saramay bibiin tinmombuk ed sikaton nanlapu lad Galilea, tan naimatunan da ra yan agawa. 24 March 2010 – San Fabian. The five mayoralty candidates and their allies signed a “Covenant for Peaceful Elections” during the mass celebrated by Rev. Fr. Oliver E. Mendoza, the parish priest. The signing coincided with the 4,30 PM mass last Wednesday. The majority of the candidates for the local positions in San Fabian took part in the signing. Mr. Bienvenido Azurin III, the local COMELEC officer was very confident that with the signing of the covenant, the elections in San Fabian would be peaceful and orderly. The five mayoralty candidates are: Irene Libunao, Gerald Gubatan, Liberato Villegas, Jimmy Tiu and Myrna Torralba. They also took part in a recollection facilitated by Archbishop Socrates B. Villegas, DD, the Archbishop of Lingayen-Dagupan, for the local candidates in Pangasinan last 23 March 2010, at the Lay Formation Center. In that recollection, San Fabian had a perfect attendance from its mayoralty candidates. The signing of the covenant in San Fabian was witnessed by the parishioners, the members of the Philippine National Police and the PPCRV of the Parish of St. Fabian. The signing was done two days before the start of the campaign period for the local positions. Pictures of Parish Renewal Experience (PREX) Class 42. The weekend seminar was held last 5-7 March 2010, Friday to Sunday at the Parish Center, Parish of St. Fabian, Pope and Martyr. 3. Every school must have a First Communion catechetical program for all pupils in Grade II. It is not pastorally sound to delay this sacramental event to a later year as indicated by recent instructions from the Holy See. The schools must also make available a Confirmation Program for all Grade VI pupils. In high school, a special Confirmation Program may be made available for First Year students especially for the transferees. For both events, it is advisable for the students to wear the school uniform in order to avoid added expenses. There should be no additional school fees connected with these sacramental occasions. for other Churches or religious groups in the Philippines each case is to be examined individually. Please be reminded that the 2010 Chrism Mass for the Archdiocese of Lingayen Dagupan will be held on Holy Thursday, April 1, 2010 at the Saint John the Apostle Parish Church in Dagupan City. The Chrism Mass is one of the sublime expressions of the sacramental brotherhood of priests under the headship of Christ represented in our particular Church by your Archbishop. It is a serious responsibility on the part of the local presbyterium to be present during this Mass and join in the public renewal of commitment to the priestly ministry. Every parish must bring fifty lay delegates representing the parish pastoral council, lay liturgical ministers, youth leaders, social action ministers and BEC heads. The liturgical program will start at eight o’clock in the morning with Solemn Morning Prayers. It will be followed with the recognition of the most generous Mission Sunday contributors. The Solemn Chrism Mass will follow right away. All the concelebrating priests must come in cassock, religious habit or bring an alb for the concelebration. The newly blessed oils may be claimed after Mass at the Saint John the Apostle Cathedral. There will be a small reception for the priests at the Archbishop’s House after the liturgy. It is the feast of the instittion I am looking forward to your wholehearted participation in the Chrism Mass. Thank you. Funeral Mass for Fr. Roberto “Roy” C. Villamil will be on 12 March 2010, Friday, 9:00 AM at the Annunciation of the Lord Parish, Bonuan Gueset, Dagupan City. Interment will be at the Ossuary for Priests in Calasiao, Pangasinan. Fr. 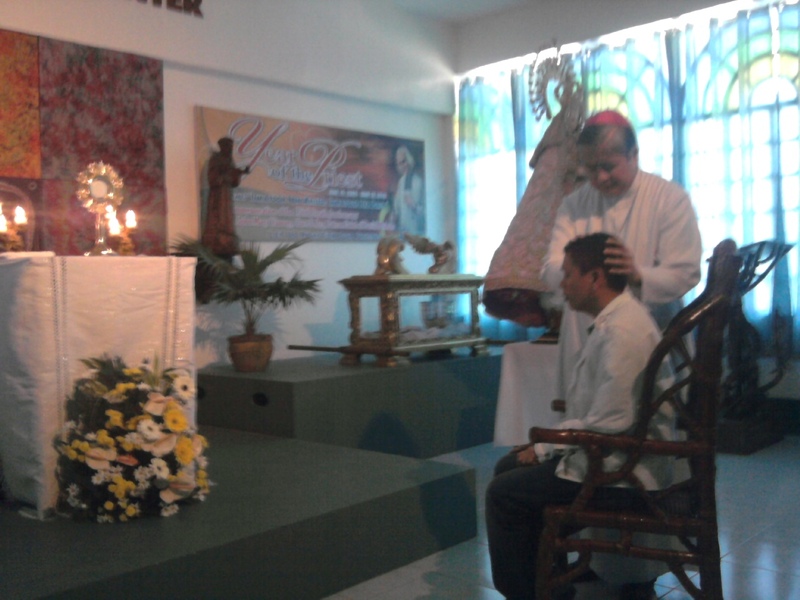 Roy was the first parish priest of Annunciation of the Lord Parish, Bonuan Gueset, Dagupan City. 6 March 2010 - Dagupan City. Archbishop Socrates B. Villegas, DD, Archbishop of Lingayen-Dagupan, issued the following announcement today: "Our brother in Christ, Father Roberto C. Villamil died in the grace of the Lord on March 5, 2010 in Dagupan City at the age of fifty nine. At the time of his death, he was the procurator of the Mary Help of Christians College Seminary, Bonuan Gueset, Dagupan City. He was born on January 5, 1951 and received priestly ordination on April 16, 1977. We request our Catholic faithful to pray for the repose of his soul. His body lies in state at the Mary Help of Christians College Seminary. We will announce the burial arrangements later." 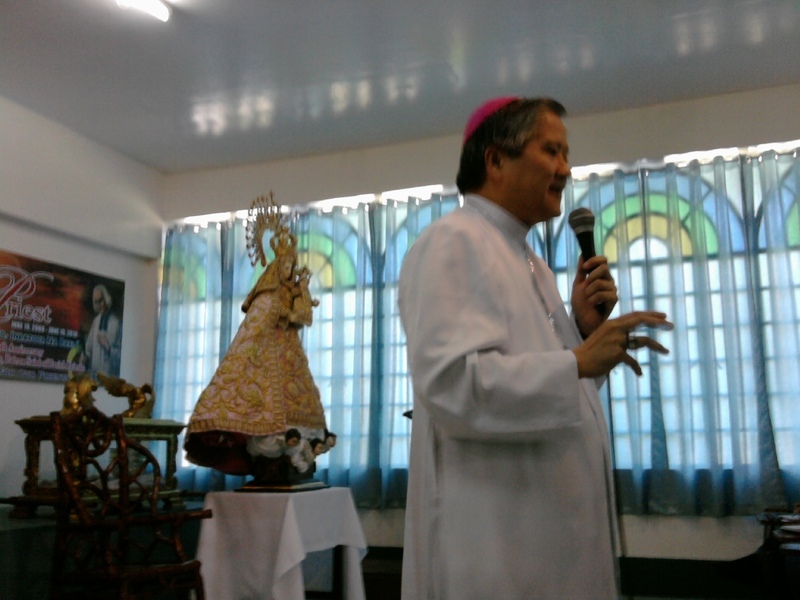 Photo taken from the Website of the Archdiocese of Lingayen-Dagupan, courtesy of Fr. Maximo Villanueva, Jr.
2 March – Dagupan City. Archbishop Socrates B. Villegas, DD, Archbishop of Lingayen-Dagupan, has laid down the pastoral guidelines covering converts from those “who have received valid baptisms in other Christian churches, sects and denominations”. In the same document, the Archbishop Villegas also provided guidelines in the diligent and correct recording of the First Communicants in the parishes. In our desire to make more effective the documentation of the members of the Catholic Church who have received the sacraments of Christian initiation; by virtue of our office as Metropolitan Archbishop of Lingayen Dagupan, we hereby decree that all parishes within our ecclesiastical jurisdiction maintain in the parish archives the BOOK OF CONVERSIONS and the BOOK OF FIRST COMMUNICANTS. The diligent and correct recording of the conversion to the Catholic Church of those who have received valid baptisms in other Christian churches, sects and denominations is the responsibility of the parish priests or moderators of team ministries. The same diligence and care must accompany the recording of the First Communicants in the parishes. These two additional canonical books will be inspected during pastoral visits by the Local Ordinary or his delegate. This archdiocesan ruling imposing the obligation to record all conversions and first communicants in the parishes will take effect on Easter Sunday, April 4, 2010. After receiving liturgical admission to the Catholic Church, the converts must receive Communion and Confirmation immediately and the necessary recording must be made in the canonical books pertaining to them. All other adult baptisms in Christian churches not mentioned above must be entered in the Book of Baptisms. As I thank you for your usual faithfulness and pastoral diligence, I also invoke upon you the blessings of God.